Bring a smile to everyone with this animal car. 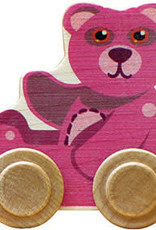 Stitches the Bear is crafted from local sustainably harvested native maple hardwood and is compatible with our and other wooden railway systems. Measures approximately 3" long by 2-3/4" high. 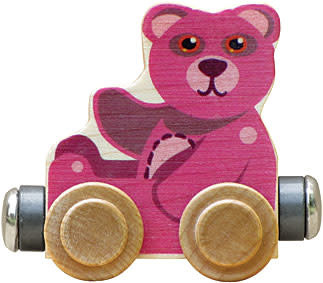 Strong magnets allow you to attach to your name or make a special train. Non-toxic finish.